But if making a difference is high on your lifetime agenda, one of the best places to start is by joining a workplace giving scheme. There are about 3000 schemes, which are run by corporates and allow employees to make donations to charity via payroll deductions. Yet only about 2 per cent of working Australians give in this way. The advantage of these schemes is they make giving a habit, with no need to keep a bunch of receipts to get a tax deduction. Donations are from pre-tax dollars, so employees effectively get an immediate tax refund. Another plus: about 70 per cent of employers who run schemes match their employees’ donations. So you give $5 each week and the charity receives $10. Because of the immediate tax refund, only $3.50 will actually be taken out of your pay, depending on your marginal tax rate. “So immediately [your] donation is having almost triple the impact and that can be slightly higher depending on the tax rate you’re on,” says Smith. There’s also the collective impact of thousands of employees signing up to give a little each week. In 2011-2012, individuals donated $40 million. At JB Hi-Fi about half the employees give to one of its nine charity partners via its scheme, Helping Hands. Employees can give as little as $1 a week and it will be matched by the company. The board, executives and many of the management team walk the talk too, donating 1 per cent of their salary. Altogether $5.5 million have been donated via the scheme since 2008. Richard Murray, chief executive, JB Hi-Fi, says there are four stores where 100 per cent of the employees donate. Not every scheme is so popular. “Workplace giving potential is largely untapped and program participation levels have flat-lined at an average 4.6 per cent,” says Smith. Her organisation's goal is to have one million working Australians participating in the schemes by 2020. Some employers boost participation rates by requiring new recruits to formally opt out of donating. Others double match employee donations when they are launching a scheme or at a particular time of year. With crowdfunding such a popular way to tap people’s generosity, Murray sees an opportunity to get more employees engaged in the scheme by running a crowdfunding-style campaign with one of the company's charity partners. One drawback is your favourite charity may not be among those selected by your employer. Murray says JB Hi-Fi added the Animal Welfare League to its charity partners about 18 months ago, after feedback from staff. But retention rates show once someone starts giving in this way, they stick at it, unless they switch to an employer that doesn’t have a scheme. 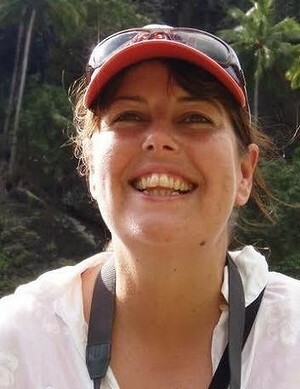 For Sue Elliot, 47, donating via the Intrepid Travel workplace giving scheme is a great way of making sure she gets her spending priorities right. “Sometimes your pay-packet runs out before you get the chance to give,” she says. This way she makes donating a regular part of her financial commitments. When Elliot has received pay-rises she has raised the amount she donates, but she still likes to keep some money available to support colleagues doing a cycling trip or a rickshaw ride around Sri Lanka for a cause. She is also not immune to the pull of crowdfunding. Recently, she threw in for a campaign raising money to produce a video about the Great Barrier Reef for screening during Earth Hour. A campaign to raise money for a music production outfit in Mongolia to support street kids won her support too. “I don’t tend to make big donations, but I’d rather spread my limited funds across a variety of projects,” she says.